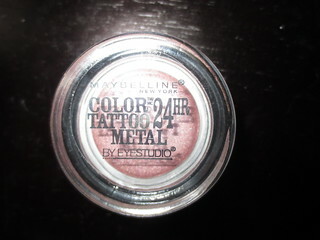 Maybelline has recently released some brand new metallic shades into their Color Tattoo line! I'm a huge fan of the Color Tattoo's, and I couldn't wait to try out these new limited edition shades! Inked in Pink immediately caught my attention, as it is a beautiful metallic shimmery pink. I love the Color Tattoo's because of their incredible lasting power. The Metal Collection has the same amazing formula as the original Color Tattoos. On my eyes, these cream shadows last all day long. I can apply my make up at 7am, and after a long day of classes and work, my eyes still look amazing at 11pm. Now, I always make sure to cleanse my face at night, so I haven't actually tested out the 24 hour wear of these. However, I don't think very many people will need their make up to last for a full 24 hours. 7am to 11pm is good enough for me! 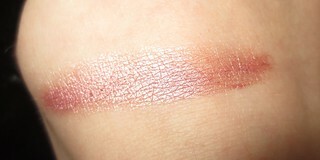 Inked in Pink is a very wearable metallic pink with some brown undertones. I love mixing pinks and brown shadows, I think it's a very flattering and day-time appropriate look. 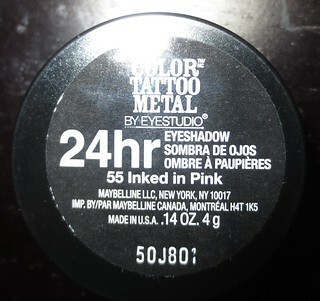 You could use Inked in Pink as a primer/base, or as an eye colour by itself. I like using these so much more than normal eye primers because these add a gorgeous pop of colour. 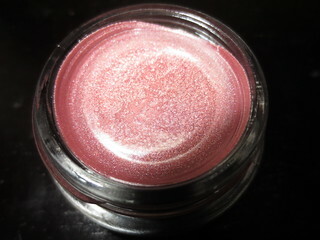 The formula is very creamy and blendable, but after they set, they will not budge. I have yet to try these out, but when I do I think I'll try this one. You're right... it looks very wearable. I am going to have to get this one. I haven't used a cream shadow for years but have really been wanting to try these. Now I know which color to start with.